Who? As the oldest outerwear brand in the United States, Woolrich’s history is indelibly linked to that of modern America, its story one of tradition as well as constant innovation. In 1811, a 25-year-old immigrant named John Rich II, newly relocated from Liverpool in search of a better life, secured a job as a wool carder in Germantown on the outskirts of Philadelphia. By 1830, the young aspirant had saved up enough money to build his own factory, alongside a trickling brook known as Plum Run, where he began to produce fabric, socks, coverlets and yarn. He sold these to local lumbermen, travelling between logging camps in a mule-drawn cart. Meanwhile, the growing network of railroad tracks spreading across Pennsylvania had triggered a vast influx of labourers to the state, all requiring comfortable clothing in protective fabrics to shield them from the elements – and Rich was there to provide it. Business boomed, and in 1845 Rich decided to expand, purchasing a large stretch of land in a remote part of Pennsylvania where he built the Woolrich mill, as well as an entire town – including homes, schools and shops – to accommodate his workforce. The town, now known as Woolrich, remains home to the brand’s headquarters to this day: a proud beacon of its storied past. What? New technologies, including the invention of the sewing machine in 1846, meant that Woolrich would soon branch out into finished clothing – from its popular Railroad Vest, designed with special pockets for workers to keep their watches in, to men’s trousers (they were the first company to employ a zip fastening) and the now-iconic “Buffalo Check” lumberjack shirt in red and black flannel. The brand has continued to blaze the trail for pioneering outerwear ever since, founded on principles of comfort, durability, resistance, warmth and simplicity, and using cutting-edge methods and materials to achieve them. They famously lay claim to the very first parka, for instance, designed to withstand sub-zero temperatures. “We coined the name parka itself, when dressing workers who were laying gas pipes in the Arctic,” the Woolrich design team tells AnOther. Why? 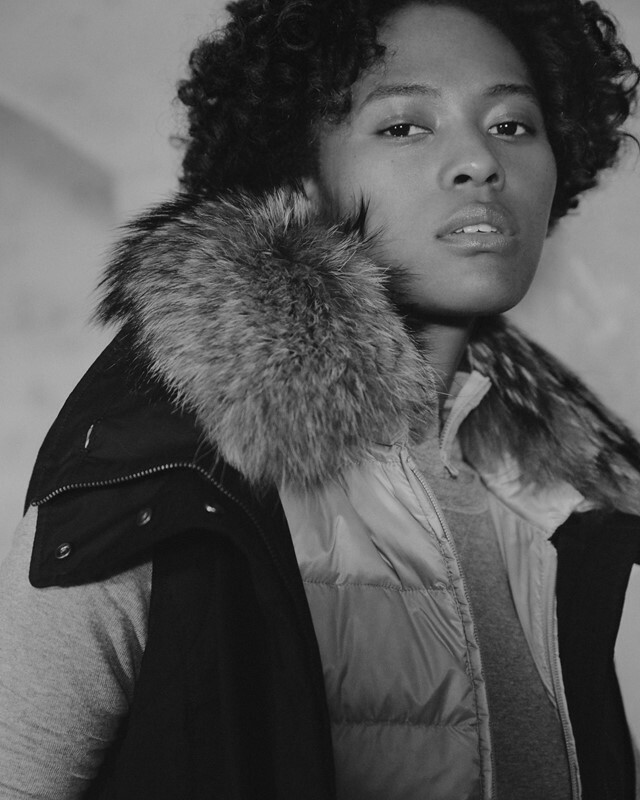 Woolrich’s new S/S18 womenswear collection neatly encompasses this versatile approach, comprising a range of sophisticated garments that fuse a minimal, urban aesthetic, punctuated by feminine details, with high-performance design, resulting in outerwear that’s “perfect for the great outdoors in all its versions”. In anticipation of spring’s mercurial climate, the pieces are convertible, with multifunctional layers, for easy transformation come wind, rain or sun. 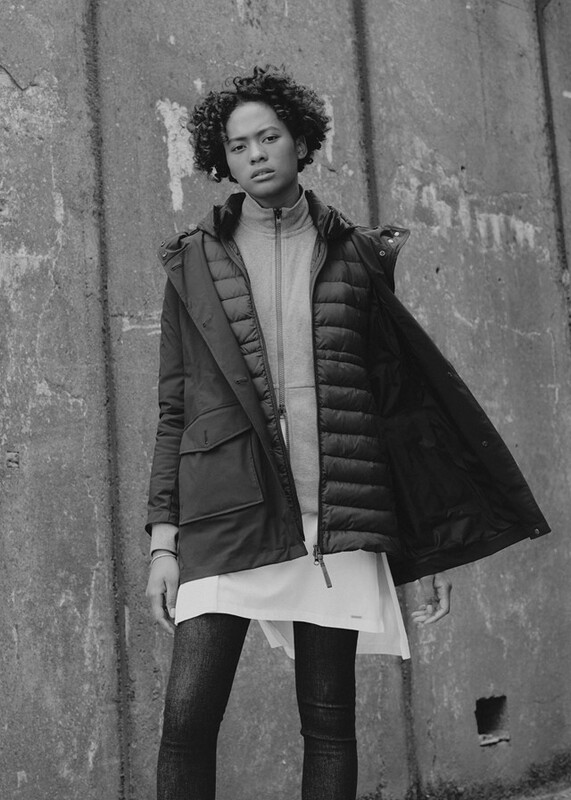 The Military Eskimo, a sleek down jacket with a fur-lined hood, boasts a detachable inner bomber, which can be worn separately as a short, padded parka, while the covetable, lightweight Rain Parka, has an insertable down lining for extra buffering on drizzly days. A short film shot in Dungeness, a shingle-constellated headland on the coast of Kent, serves as a compelling showcase of the new designs. Concrete underpasses contrast with verdant hillscapes, highlighting the urban/outdoor themes at play, while providing a complementary backdrop to the collection’s neutral palette. 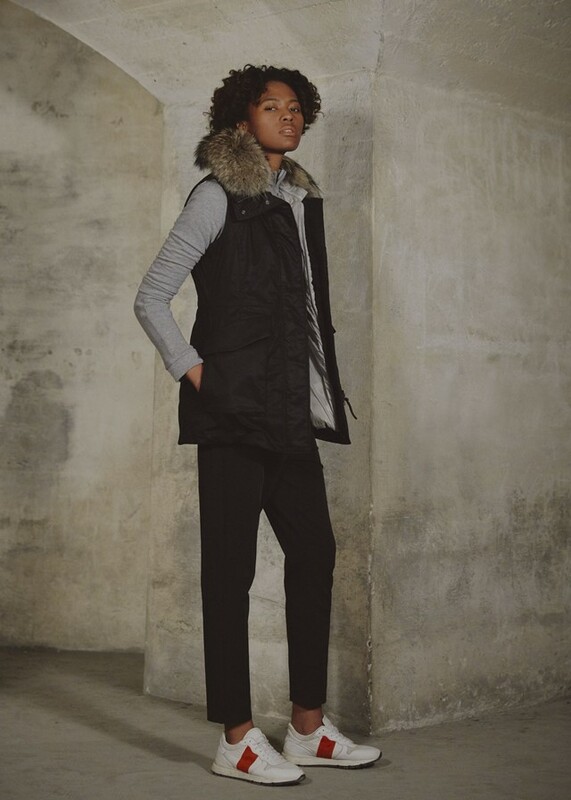 But in spite of the very British choice of filming location, the key inspirations for Woolrich S/S18 lie in America – “it’s a journey through desert sandstorms [and along] the tree-lined roads of America’s preppy college campuses,” the team explains – aptly echoing the path of its visionary founder over 200 years ago. Woolrich’s Spring 2018 collection is available now.